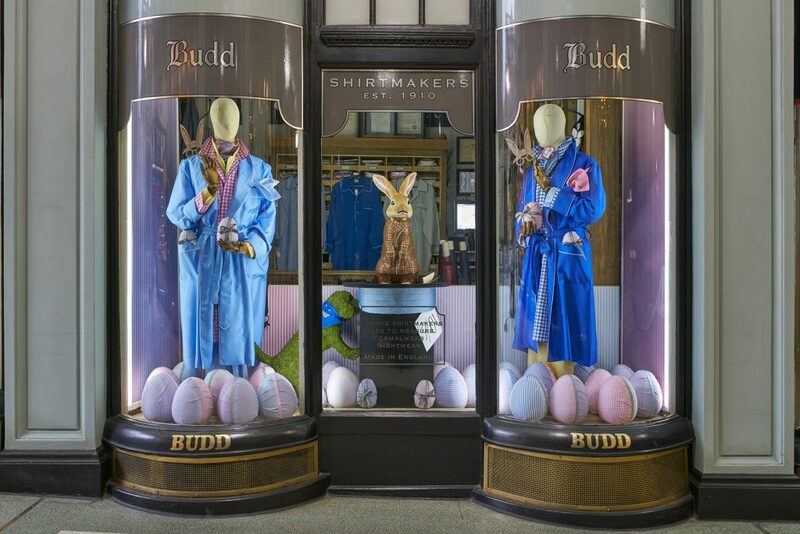 Our Easter window has plenty of bounce to it, thanks to our specially commissioned Budd Bunny (see what we did there?). 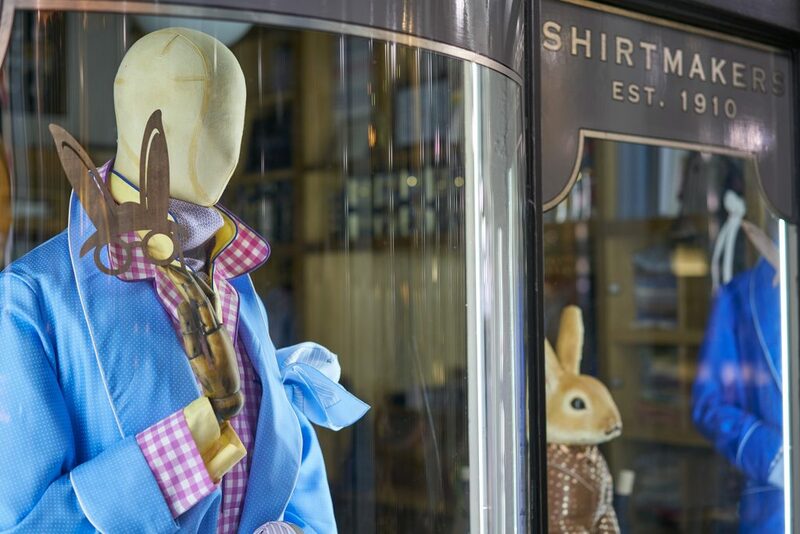 Crafted in chocolate by the White Fox Chocolaterie it is an eggstraordinary, dapper, not least edible sculpture that gives the sartorial dash of the Mad Hatter a run for his money. 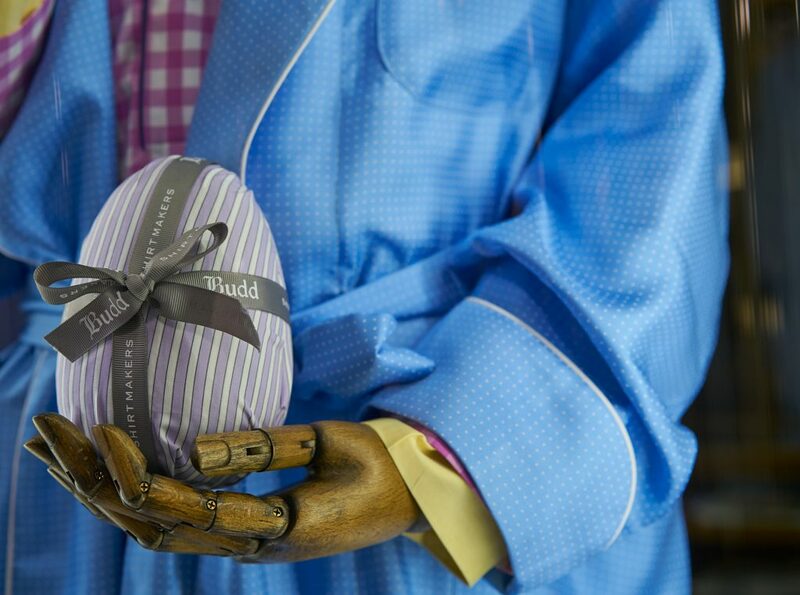 Made by self-taught Mother and daughter duo Helen and Joy Gray, Budd Bunny wears a quintessential Budd gown, the brush work and pattern on it perfectly rendering the idea of our heavy silk spot robes, complete with piped edges and cosy cravat underneath. 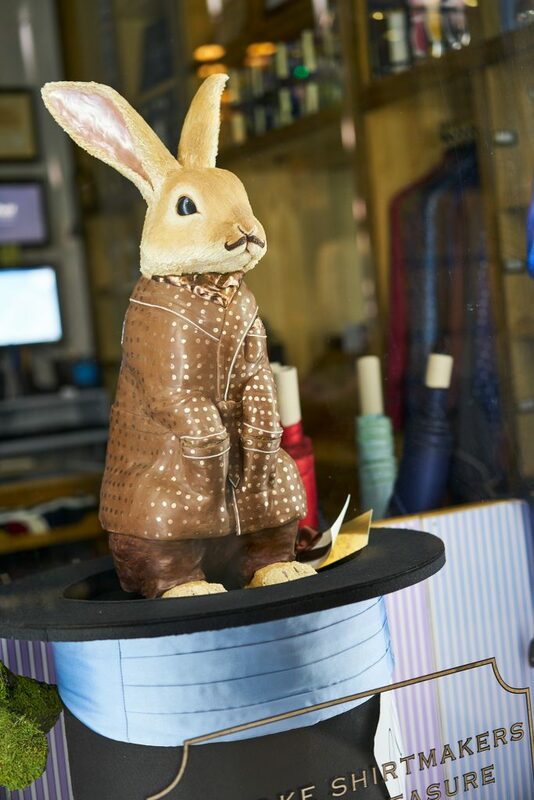 He looks very at home, which is a good job as he has another two weeks in the window until he can hop it! 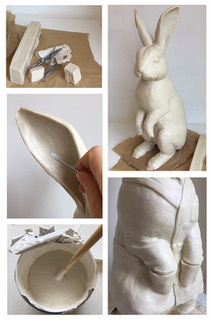 Helen and Jo handcraft eggsquisite (sorry again) chocolate sculptures and regularly work on bespoke commissions for the likes of Fortnum & Mason. Their mastery is breathtaking and the scope of their projects suggests that nothing is too ambitious for them. White Fox are discerning in their chocolate making. They select the chocolate they work with for its flavour and quality, and only purchase from companies who have their own cacao plantations and practise ethical, socially responsible and traceable methods of production. Their holistic and ethical approach to their work, perfectly encapsulates our own values, as does their enormous dose of enthusiasm and whimsy. 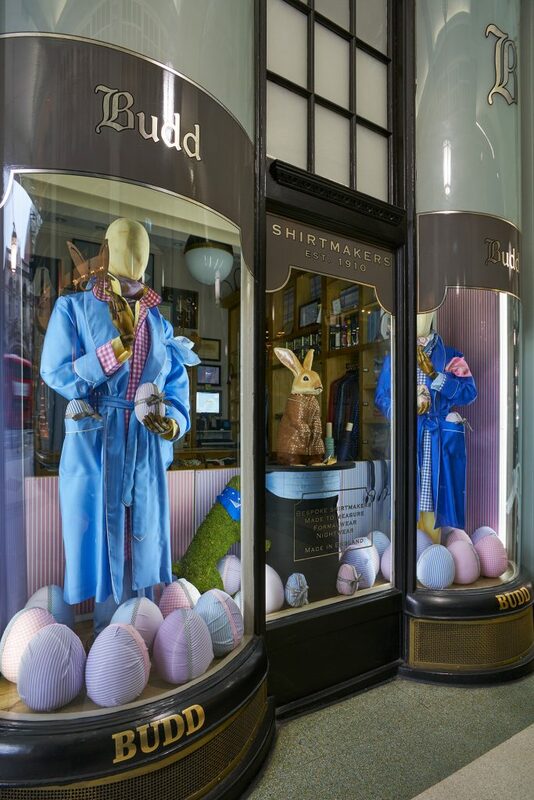 Our Easter theme continues throughout the rest of our window. 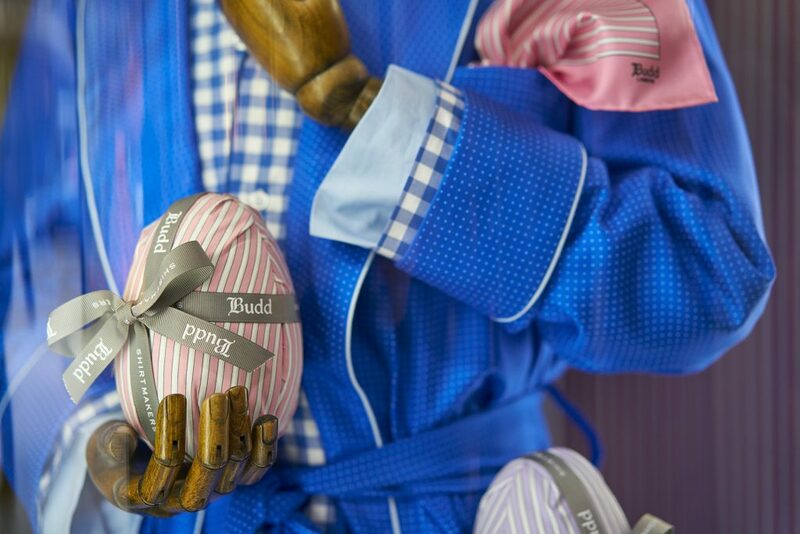 Creative Director, Fanny Ward has hand covered over thirty eggs in colourful shirtings and dressed our mannequins in a combination of silk spot gowns, relaxed linens and bright zephyr checks, all setting the tone for the perfect and easy going Easter break.